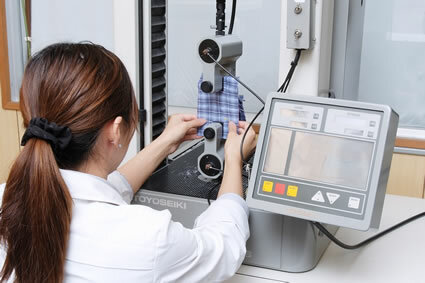 TOBAN TEXTILE is Japan's leading textile manufacture, specializing in all aspects of dyeing, sizing, weaving, and finishing in one factory. Our foremost priority lies in fully listening to the customer's needs. We firmly believe that communication is the basis of any collaboration, and thus, of creation itself. We have the knowledge, technique, and technology to bring your vision to life. Together, the possibilities are endless - wouldn't you like to create products that no one has ever seen before? As our seniors have done for us, we seek to protect tradition and share every bit of knowledge to each employee on our team. We challenge ourselves daily to grow together as a company. 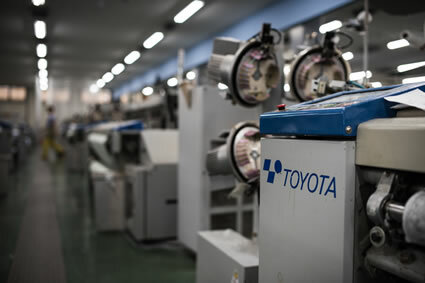 In a production process that is meticulously maintained, we are able to present the most thorough and complete products. Our purpose is to deliver work that truly represents the knowledge, technique, and technology that we pride ourselves on. We want you to voice all questions and concerns to us. As your partner, we share your goals and are here to fully support you throughout the entire process. The best way to create your ideal product is by directly teaming up with us.